Waterford is a 40 acre community that is situated in Rancho Mirage, within walking distance of four premier country clubs in the neighborhood: Morningside Country Club, The Springs Country Club, Thunderbird Country Club, and Tamarisk Country Club. 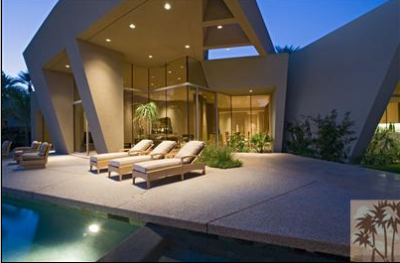 It is also within walking distance of the renowned Annenberg Estate. The Waterford community is made up of 61 homes, which are all single family homes built in 2001. The properties range in size from 4,700 to 5,500 square feet, and are all single-level units. There are four bedroom units that include two and three car garages, a gated community, tennis courts, and customized design schemes that are as elegant and majestic as the views in this area. At the center of this community is a five-acre lake that offers small islands for privacy, and allows nearly half of the Waterford homes to be lakefront properties. The lots in this community are estate sized lots, which guarantee that you’ll have the majestic home you’ve always wanted. With over 800 mature palms and professional landscaping, this community provides a more park-like setting than many neighborhoods in the area. The building sites in this community average more than 18,000 square feet, which allows for privacy for its residents, as well as adequate space to build the home of your dreams. Homes in the Waterford community range in price from $1.5 to $1.7 million. 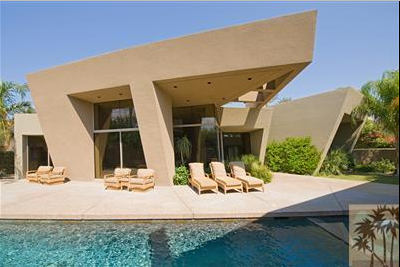 That’s a small price to pay for the elegance, distinction, and serene privacy of this desert neighborhood. The community also boasts a small park, with two lighted tennis courts and other features that were designed with luxury and excellence in mind. If a country club isn’t always the right place, this community allows you to enjoy the amenities of tennis and exercise without having to become a member of the club. Of all of the homes in Rancho Mirage, Waterford offers some of the best landscapes, serene views, and accessibility. 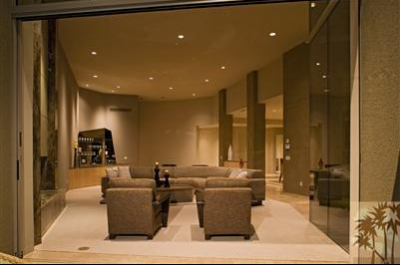 The community allows for privacy and safety as a gated area, but also provides walking accessibility to many of the exclusive country clubs in the Rancho Mirage area. 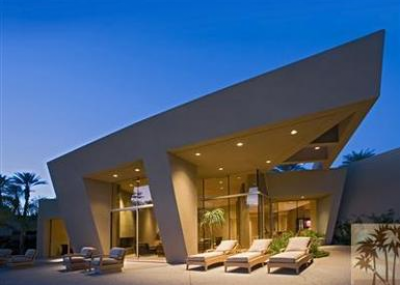 While some clubs are membership-exclusive based on being a homeowner in the club community, many of the clubs that are accessible from Waterford are open to any resident of the Rancho Mirage area, upon invitation or approval of the Membership Director. If you’re looking for a little piece of desert escape, combined with lush landscapes and a lakefront home that appeals to your luxurious lifestyle, Waterford has everything that you want and need in a home. Whether you’re buying an existing property, or purchasing one of the few lots that are left in this pristine oasis, you can be sure that you’ll feel right at home in Waterford. If you want more information, or to schedule a tour of available properties in Waterford, contact us today. Many listings in this area are exclusive and private, but we can help you find the one that is right for you. Contact us now to set up an appointment and get started. If you would like to see Waterford Homes For Sale, please call us at the numbers below. Were committed to helping you find the home of your dreams. With over 20 years of experience in Real Estate market, Elaine truly enjoys helping people in the process of buying or selling a home.